Paxforex.com offers a $7 forex no deposit bonus to new traders, but there are some details to this bonus you should know first. It's a nice bonus of course, but without knowing the particulars, you might get disapointed. You need to create a 'bonus account' to get the $7 no deposit bonus. You do this by chosing 'Bonus' as account type, when you're registrating your new account. The bonus and profit you make with it will be only available for the first month after you register. 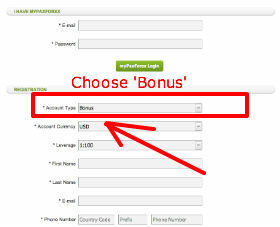 To clear the bonus, you need to trade at least a 1.5 Standard Lot for each $5 in bonus. This is doable, but only if you're an intra-day trader. After the clearing conditions are met, the bonus will no longer have an expiration date. If you withdraw funds from your Standard account before clearing the bonus, the bonus and profit will be nullified. Only 1 bonus per trading account. You can not use Expert Advisors (EA's) with the bonus account. You can however with a Standard Account. So yes, there are a lot of limitations if you chose not to upgrade from a bonus account to a standard account. 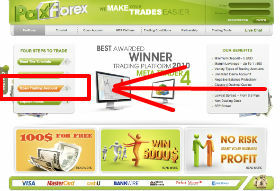 It's hard to clear the $7 forex no deposit bonus with just the bonus account. Support: Good. Contact is possible through chat, email and phone. Live chat is quick and helpful. Paxforex uses only Metatrader as its trading platform. It has no webtrader, meaning it is not very suitable for apple and linux users. It also offers no mobile trading for smartphones of its own. The spread is ok but not spectacular. Because it's a floating spread, you should take it into account when opening your position. Aside from 25 currency pairs, paxforex also offers tradign in gold and silver. However, it does not offer any trading in stocks or indices as of yet. The $7 no deposit bonus that Paxforex offers is a nice way of introducing new traders to forex trading. 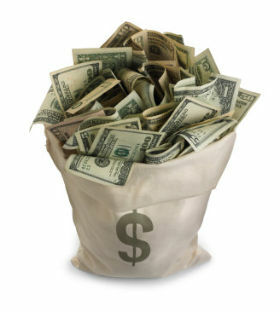 Clearing the bonus without depositing is pretty hard, but it's not impossible and besides, it's free forex money. 4. $7 added to your account!